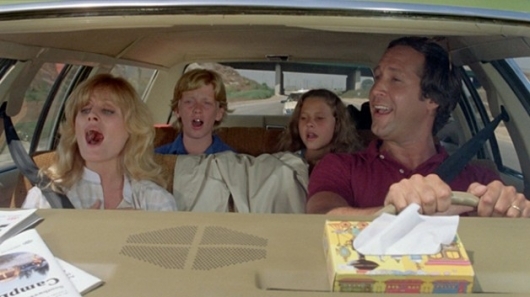 Up to this point the Vacation movies have followed Clark, Ellen, and their kids Rusty (previously played by Anthony Michael Hall, Jason Lively, Johnny Galecki, and Ethan Embry) and Audrey (Dana Barron, Dana Hill, Juliette Lewis, and Marisol Nichols) on their vacation/holiday adventures. Hemsworth would play up-and-coming news anchor Stone Crandall, the husband of Audrey Griswold (a role that has not yet been cast). Day’s role would be as a river-rafting guide. Chase and D’Angelo will also be returning in cameo roles. John Francis Daley and Jonathan Goldstein wrote the screenplay, and will be making their directorial debut on Vacation.